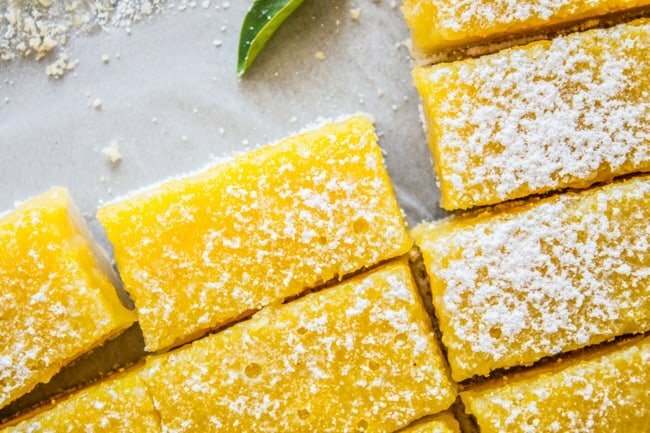 This is the BEST recipe for Lemon Bars I have EVER tried! The shortbread crust is thick and tender, and the lemon custard on top is super tart and creamy. You will never go back!! Here’s what happens when your stack falls. Tawna can’t eat gluten. I saw her again last weekend at a church breakfast event where I was loading up on doughnuts. She (again, so casually) mentioned that she’d never had a doughnut. I’M ON A MISSION, GUYS. Although really I should just go to Sarah from Snixy Kitchen. 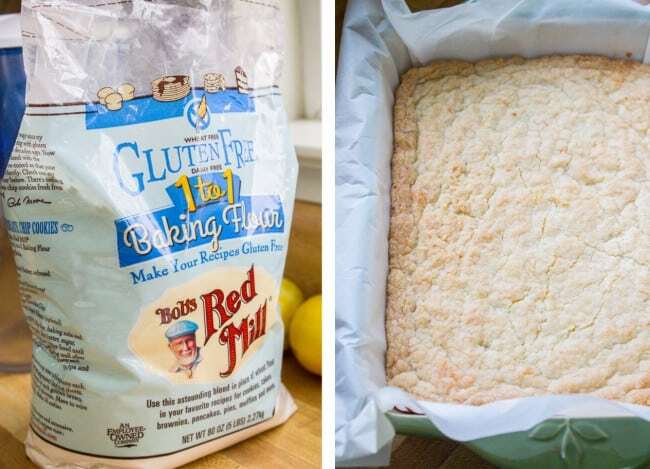 Gluten-free baking definitely takes some practice and this girl has got it DOWN. Got any doughnut recipes up your sleeve, Sarah?? Spill! Sarah and I met at a blogging conference a couple years ago and since then she has literally saved my blog from the jaws of technical difficulties on a number of occasions. She also happens to be one of the most gifted photographers I know and even does food styling for the NY Times. She is crazy talented!! I was at her house the other day and she showed me all the clothes that her mom has sewn for the baby. We are talking like an entire dresser-full, people, along with several blankets and knits. (Sherry, you are a master seamstress!) This kid is totally going to be better dressed than me, that is for sure. This lemon bar recipe is an oooold favorite of mine. I perfected the recipe back in 2012 and published it here on the blog, but I love the recipe so much that I wanted to update the photos and tell all you lovely new people about it (since basically it was Eric and my mom reading back then.) I haven’t changed the recipe at all, and it’s too good to remain hidden in my archives. A few notes about the recipe: 1) you MUST make these in a 2-quart, 8×11 inch pan if you want the crust-to-custard ratio you see in the photos. It will definitely work in a 9×13 but the layers will be thinner, which in my opinion, ruins the lemon bars. I want a THICK layer of shortbread and a THICK layer of custard. If you do make these in a 9×13, make sure you lower the baking times. Oh and on the right is how brown your crust should be. You are going to be the best mom ever, Sarah! And not just because you will keep your kid dressed in something other than clothes that they have picked out themselves (always the stained hole-y ones, why, why??) Your cheesy little baby is going to be so happy in your family, because you are going to be an amazing mom. If you try out this recipe (DO IT! ), snap a photo and share on social using #TheFoodCharlatan. I’d love to see what you are making! Preheat oven to 350 degrees F. Prepare an 8x11 inch pan by lining it with parchment paper or spraying with nonstick spray. Or you could use foil, make sure you spray it with nonstick spray. In a medium bowl (or stand-mixer), beat together softened butter with 1/2 cup sugar, salt and zest. Add 2 cups flour, either all-purpose or a gluten-free blend. Make sure you use a scoop or spoon to place the flour in your measuring cup, then level it off. You don't want to pack your flour. Beat in the flour. It won't come together in a ball probably, but you want to get big clumps that are sticking together. Make sure the butter and flour are incorporated. Press into the bottom of the prepared 8x11 inch pan. Wet your fingers a little if the dough sticks to your hands. Bake at 350 for 24-26 minutes, or until golden around the edges. In a bowl (or using stand mixer), whisk together the remaining 1 and 1/2 cups sugar and 1/4 cup + 2 tablespoons flour. You can use the unwashed bowl you just used for the crust, but only if you scrape it out pretty well. You don't want clumps in your custard. After whisking the flour and sugar, whisk in the lemon juice, eggs, and zest. When the crust is done, pour the custard over the top. You don't have to wait for the crust to cool. Bake for an additional 26-28 minutes in the preheated oven. The edges should be set with the center still a little wiggly (just a little). The bars will firm up as they cool. Cover and refrigerate for at least 3 hours until they are cold, then dust with powdered sugar right before serving. Don't bother doing it before because it will just seep into the custard and you won't see it. If you don't like your desserts extremely tart, (what is with you? :) decrease the lemon juice to 2/3 cup, and decrease the flour (in the custard layer) to 1/4 cup + 1 tablespoon. Also decrease the zest, maybe do 1 and 1/2 lemons. This recipe for lemon bars NEEDS to be baked in a 2 quart 8x11 inch dish (here's a link to one). 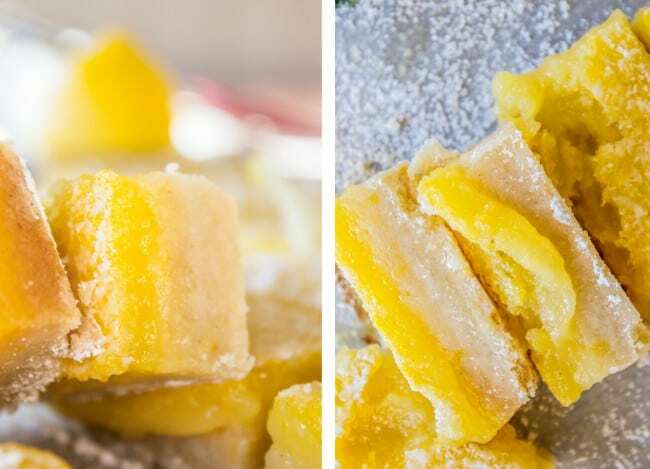 You can absolutely make it in a 9x13 (adjust baking times-it will cook faster), but the bars will not be as thick, and in my opinion, that is what makes these the BEST lemon bars. Don’t forget to check out all the other recipes going up today for Sarah’s baby shower! 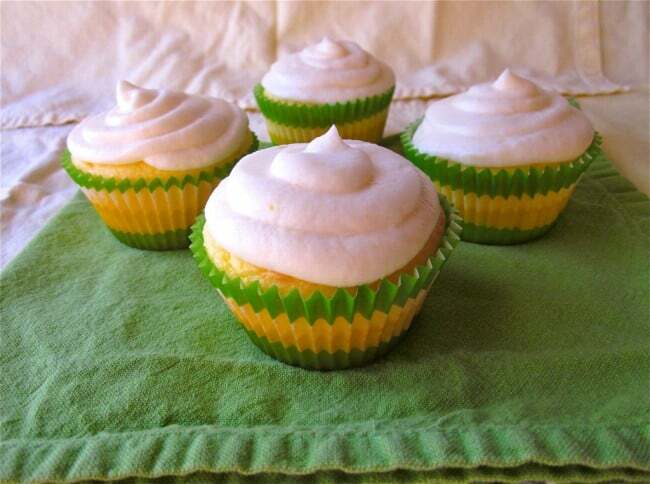 Here are some other lemony recipes you will love! 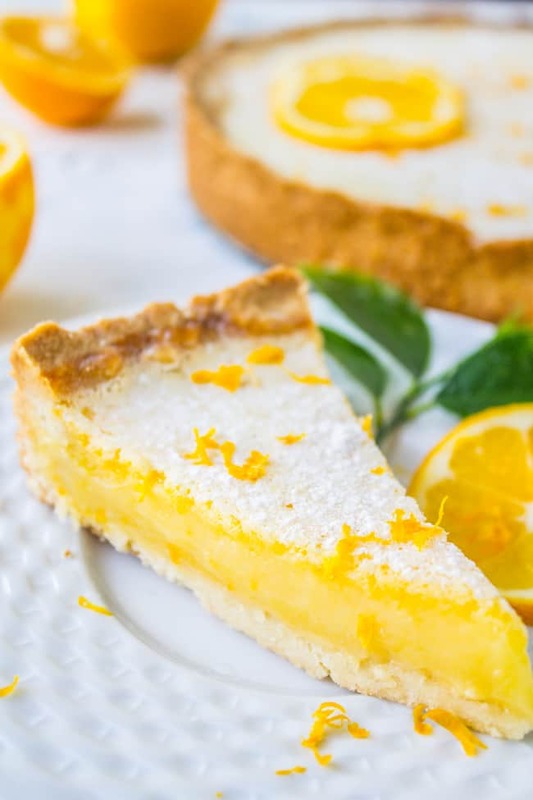 Meyer Lemon Tart << Have you tried Meyer lemons yet? They are a little sweeter and more orange-y than a regular lemon and have such amazing flavor. Try this one out! ^^Also, I should mention that the fabric in this photo is my shirt. A yellow button up shirt I used to wear all the time. I looked at all my normal food props and didn’t see anything yellow so I just went to my closet. I’m a normal person, I swear. 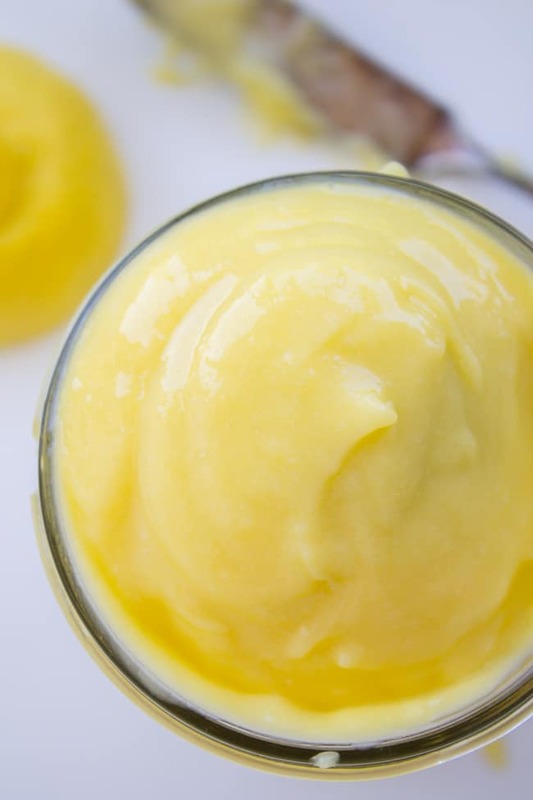 The Best Lemon Curd: << no lie, guys. Here’s a recipe for Lemon Cake with Lemon Frosting. It’s one of my favorite cakes! 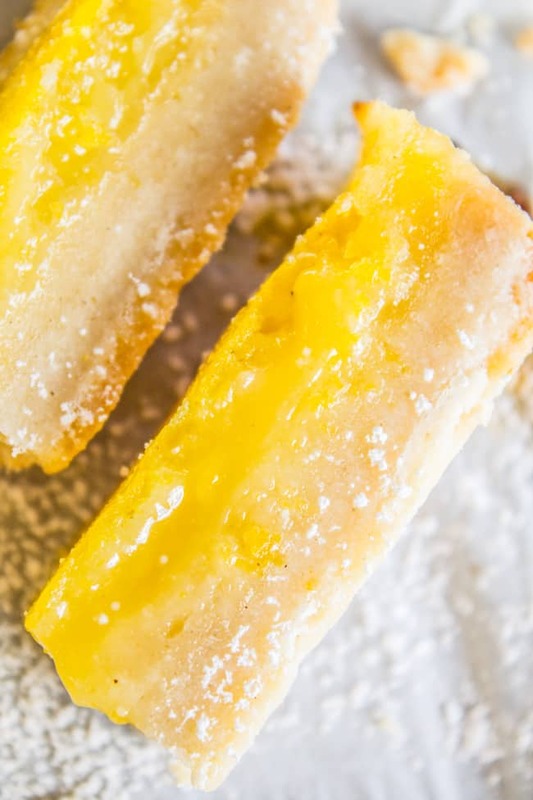 Lemon Crumble Bars from House of Yumm << These look SO GOOD!!! I tried this recipe and it turned out great, this was my first time ever baking from scratch and it worth it. Hooray! I’m so glad it was a success Ester! Lemon bars are my favorite. Thanks so much for coming back to comment! These look amazing! I need a few of these babies asap! Come on Morgan, they re LEMON bars, and a lemon is a fruit, so you can totally consider them part of the fruit category and have them every day ?? 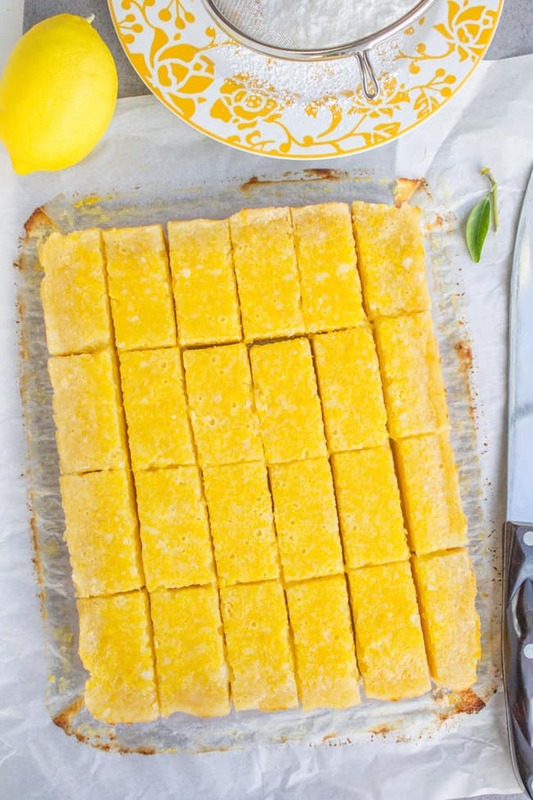 I have zero willpower over lemon bars and your pics make me want to run to the kitchen asap!! Looking forward to those doughnuts my dear! Headline “Karen saves the day with her GF doughnuts!” Hooray! Girl, these look divine. I realized its been too long since I had a lemon bar. They are one of the best sweet things ever! Love that you and Sarah have met…. 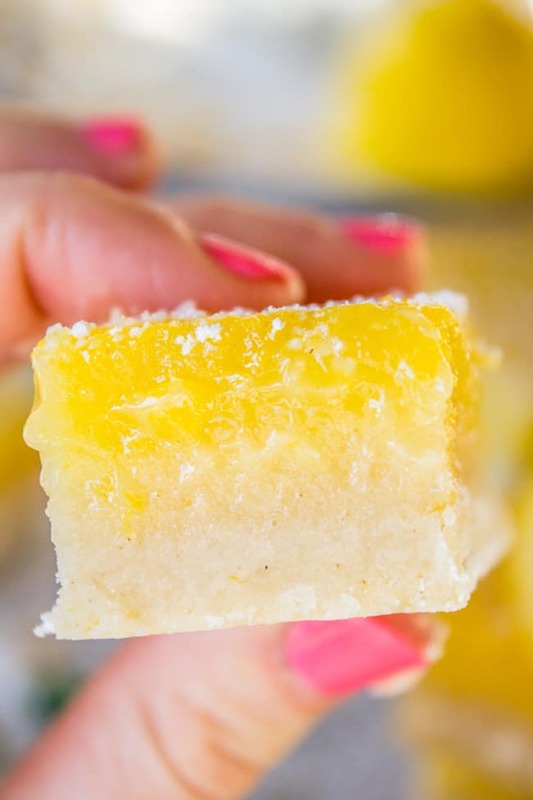 Now… your old lemon bars don’t look bad, but your new ones shine like the sun! Gorgeous my dear! Okay, I love lemon bars and we have to get back to this in a second, but can we pause and talk about the fact that I have totally shot food on shirts (and skirts, and scarves…) too?? Sometimes it’s just the best fabric for tje job! HA. But back to the food, these look so delicious, and I love that it’s an easy gluten-free swap! I basically know nothing about gluten-free cooking so this kind of easy recipe is exactly what I need. I am such a sucker for lemon bars! I just love them! That’s so nice of you to be coming up with gluten free versions for your friend! And congrats to Sarah!! haha I will confess that I had never had a lemon bar until a few years ago! Crazy right??? These look completely fantastic! These look absolutely delicious! that color! I made these yesterday. They really are the best!!! I find many other recipes to be thin, runny, and sad. These bars were firm and thick, something you could really sink your teeth into. Yes yes yes! I’m so happy you made them Laura! 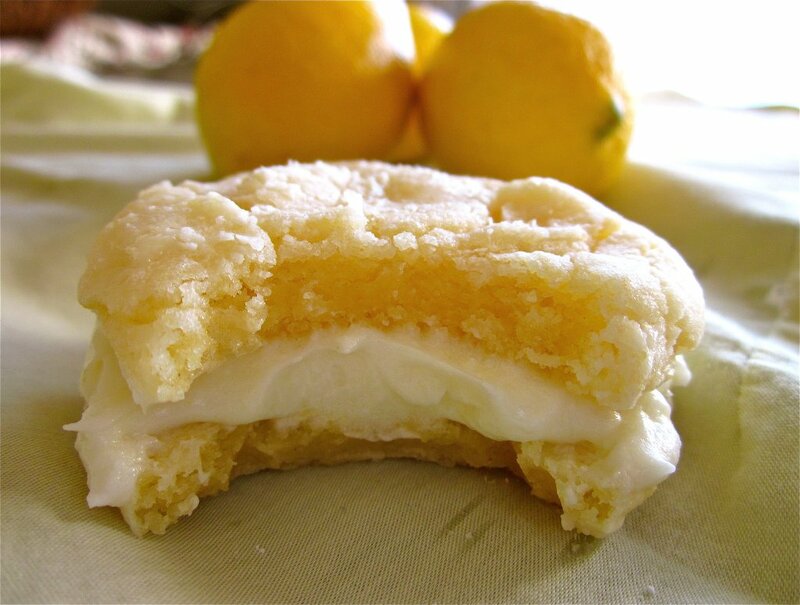 I too have had many a sad runny lemon bar. No more! aww, congrats to Sarah! 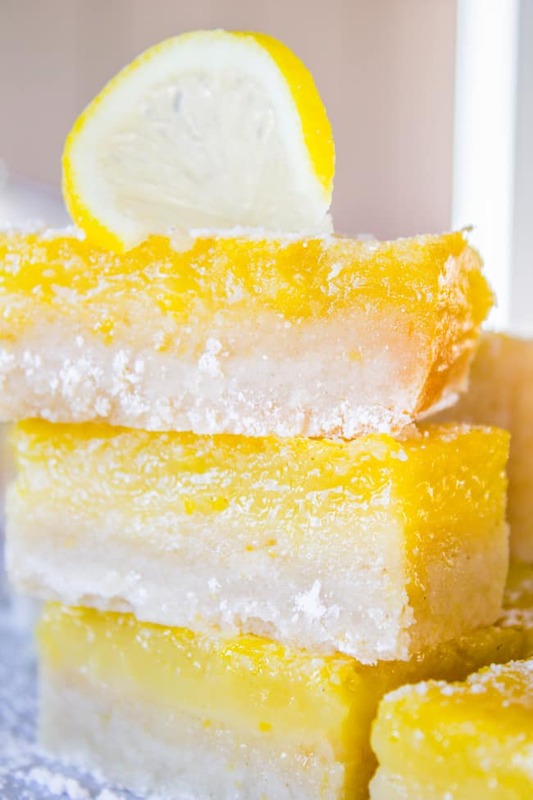 These lemon bars are gorgeous!! KAREN! I am obsessed with finding the perfect lemon bar. I’ve (unfortunately) eaten way too many that just aren’t right and even have an egg-y quality to the custard. Yuck. I can’t deal. So I am PUMPED to try your version. I know they’ll be perfect! Cheers to Sarah and her babe! I was obsessed too back in 2012! Until I came up with this version from all the recipes I tried!! I hope you love it Liz, you have to let me know how it goes if you get a chance to make it! Lemon squares!!! It has been ages since I’ve had a lemony dessert and for the life of me I can’t think of a reason, especially considering I could probably eat an entire lemon meringue pie to myself. Yours look so perfect, and it’s so nice to see that the Bob’s AP you used worked so well! I could probably eat an entire lemon meringue pie too, Christine. We must be kindred spirits. :) Or at least well on our way to getting diabetes. I was on a lemon bar diet too because I made these again after your party so that I could shoot them, and then there I was with an entire pan of bars and nothing to do but shove them in my face. Life is so hard. I believe that these are the best- they look incredible! I LOVE lemon bars :) Pinning! Thank you Medha! You are so sweet! YESSSSSSSSSSSSSS LEMON BARS! 100% going to make these soon, for myself. No sharing. Seriously though. Sharing is totes overrated. ANYTHING lemon. It’s like my kryptonite. I desperately want these. Also? Sarah is a.ma.zing. I love her. I’m so glad I know how to defeat you now Amy. I WILL DESTROY YOU. One lemon bar at a time. I am such a bad blogger friend. I want to make a comment about how lovely your new blog layout is, but I haven’t been reading around the blogosphere in so long that this is probably like a year-old layout update. Couldn’t resist. Also, these lemon bars. HOW HAD YOUR FRIEND NEVER HAD A LEMON BAR?! Thank the heaven she has you to enlighten/bake for her. She is a lucky duck. And now I want a lemon bar, thanks. Aw thank you Erika!! My sister in law designed it, she is so talented. And the reason Tawna hadn’t had a lemon bar is because she has Celiac’s. She tried to bake her own but they didn’t work out. TRAGIC. so i fixed it. next im tackling donuts, she told me the only ones she’s had were frozen gf donuts that you microwave. shudder. wish me luck…I’m gonna need it. Since your subbing stuff Karen, can you come up with a way to make these taste amazing with no carbs and no sugar? It’s really difficult reading all your delicious recipes, but knowing that i can’t make them and then stuff my face like when I was 30 and still keep my girlish figure. Getting old is the pits . . . I’m imagining eating these but it’s not the same. . .
Oh yeah sure Kris I’ll get right to work on that. Be sure to stay on my good side, because you will want to be on my A-list when I make billions for finding the solution to life’s greatest problem: why can’t I eat whatever I want? Yum! Lemon bars make me thing of spring :). I can’t even imagine not being able to eat gluten. How many lemons would you say that you used? 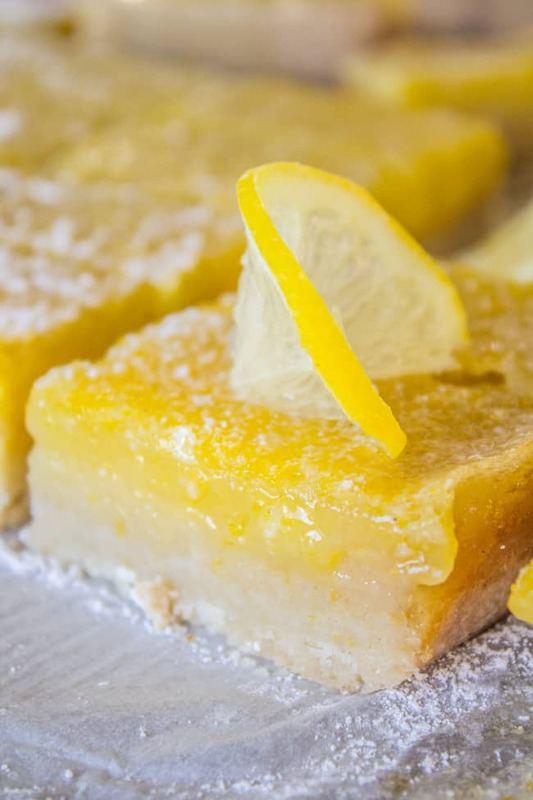 I have so many fond memories of lemon bar eating…with my grandmother; at a bakery in Amish country in Pennsylvania; with you…oh no wait, that was lemon slurp. Hmmm I think I used 3 or 4 very large lemons. Just buy a few, and if it’s not quite enough you could throw in a few squirts of refrigerated lemon juice to make up for it. Long live lemon slurp!! It’s in the last picture, can’t you see it? Little bits of rice and chicken in between the crust and custard? Yum. My husband does the exact same excessive shopping thing, which is why I try not to send him to the store often. I want to make them at your house just to watch your face sweat Karen!